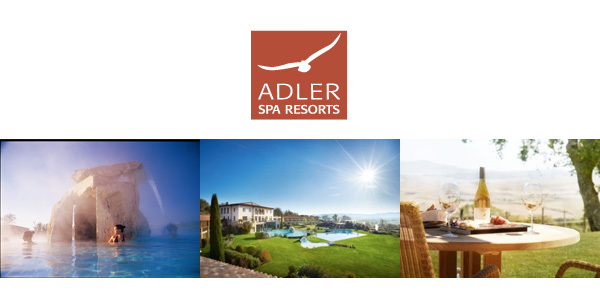 Bagno Vignoni, Italy, January, 2019 … It would be easy for a guest at ADLER Thermae Resort & Spa, the groundbreaking five-star hotel fed by the Bagno Vignoni’s thermal waters, to be tempted to check in for several days and never leave the property. After all, the baths, saunas and pools cover 1,000 square feet of the property, and the spa menu has more than 120 treatments, including carefully customized facials performed with signature ADLER products and massages using techniques such as craniosacral and Ayurveda. The “Explore Tuscany” offer gives guests the chance to be active with local hikes and walks, which are especially pleasant during spring and autumn. Led by local guides, visitors will climb the rolling Tuscan hills and have the chance to see some of the area’s most famous sites, including the Abbey of Sant'Antimo, the Abbey of Monte Oliveto Maggiore, and the Vitaleta Chapel. Should they prefer to cycle, they’ll have complimentary access to the hotel’s fleet of mountain bikes and electric bikes.